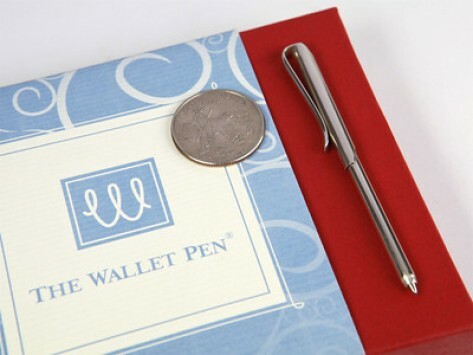 This tiny silver pen is designed to fit right in your wallet, adding no bulk, so you'll always have a pen when you need one. The wallet pen is absolutely beautiful! It is so handy to have a pen available at all times. Love it! The wallet pen is an heirloom quality writing instrument. Nothing to break. Perfect gift.